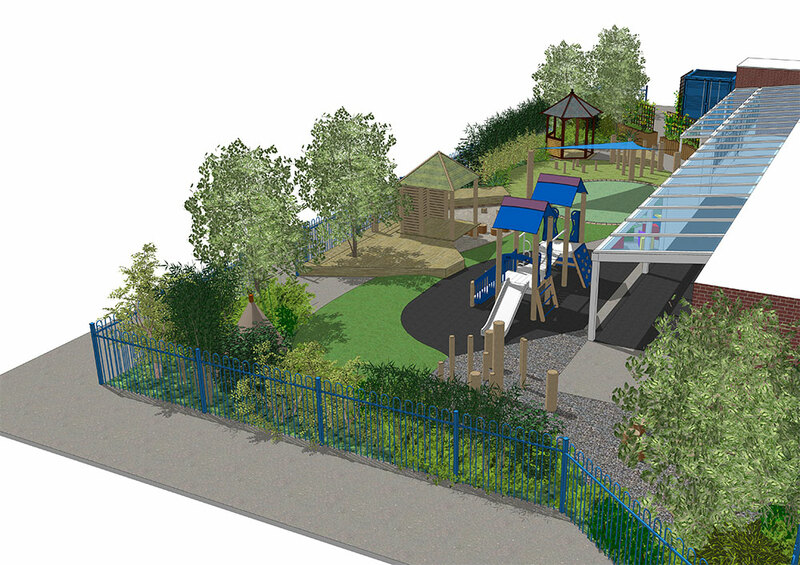 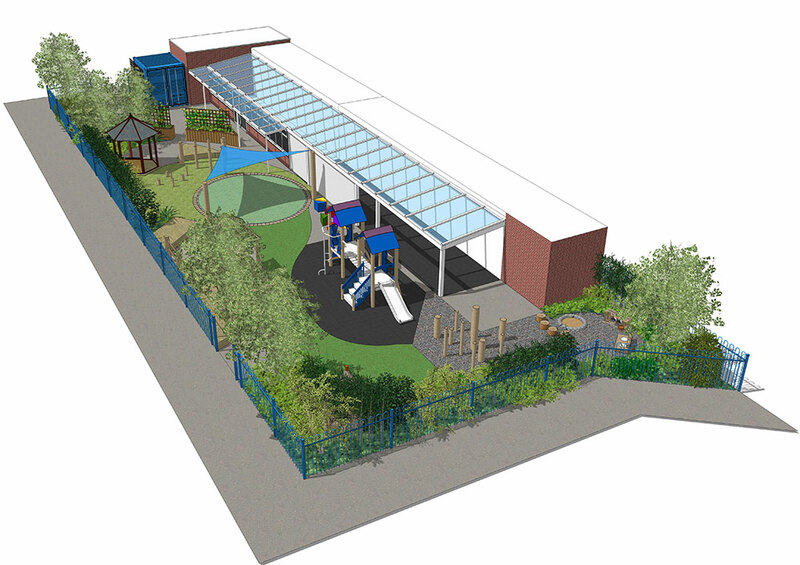 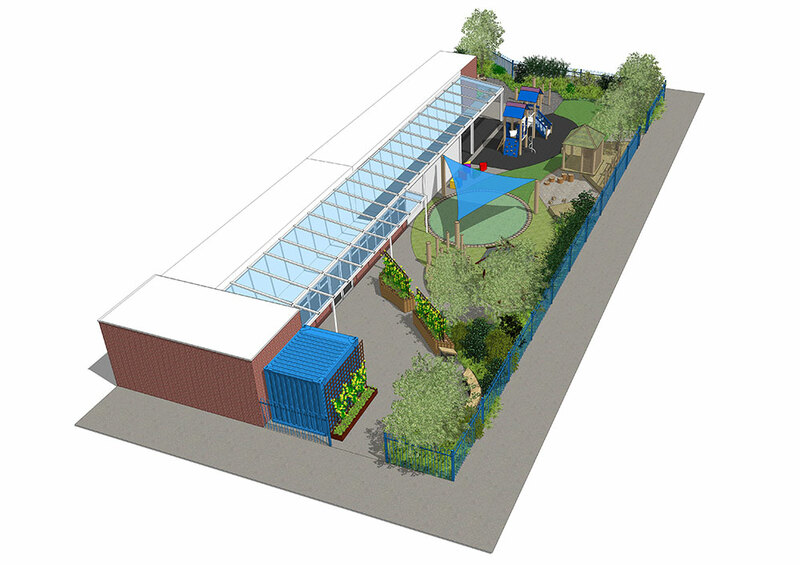 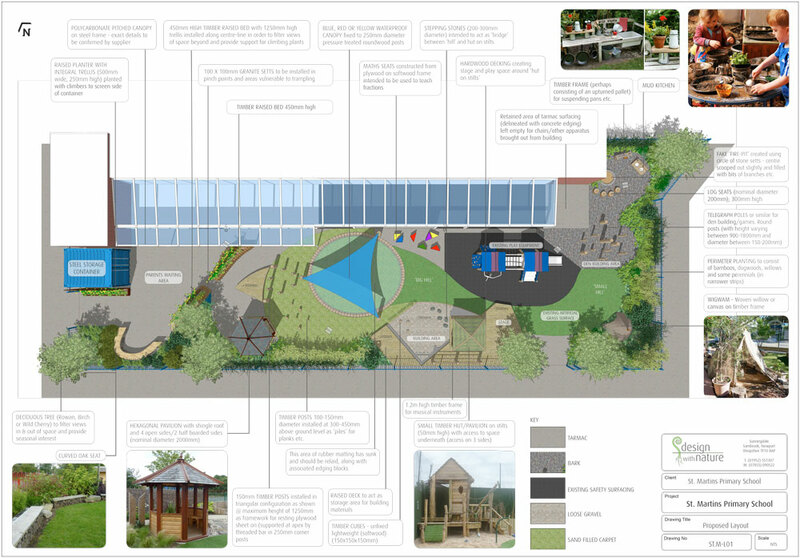 Sketch design proposals prepared for a fenced area outside the reception classroom which subdivide it into separate activity zones to facilitate as wide a range of different learning based activities as possible while allowing for the retention of some existing play equipment and associated areas of all-weather surfacing. 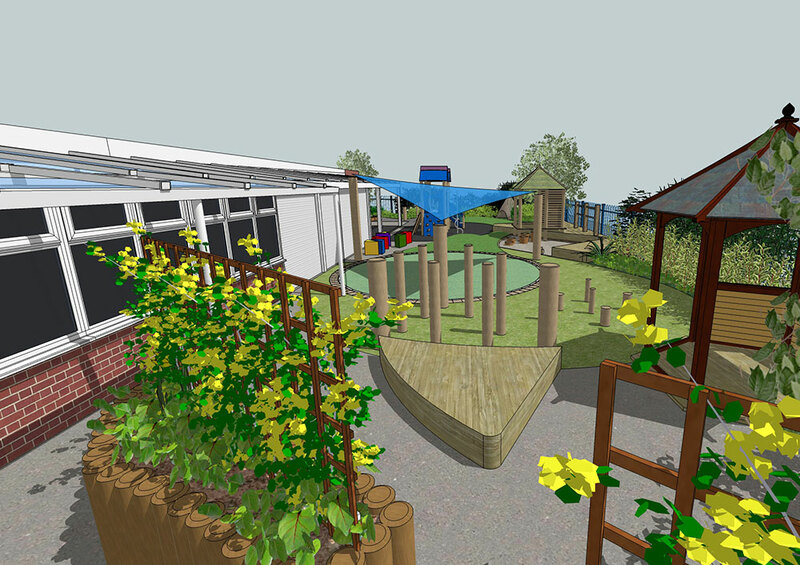 The newly introduced elements are as non-prescriptive as possible in order to allow for flexibility of use by staff and give the pupil’s imagination free rein. 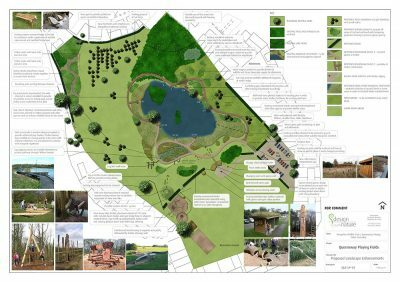 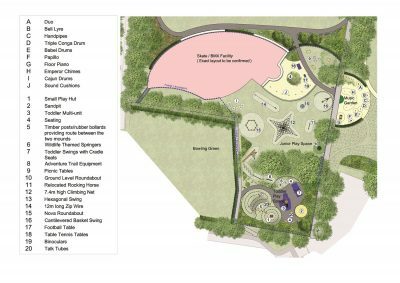 Scheme includes: separate parents waiting area, timber planters for growing plants, raised platform / decks / stage, music-wall, fixed posts at different heights as framework for building dens / other structures, open sided pavilion, hut on silts, wigwam and ‘woodland’ zone with mud kitchen and fake fire-pit. 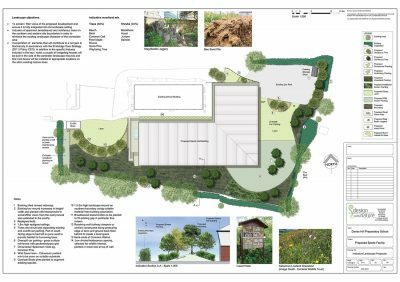 Areas of loose surfacing have been carefully located and designed in order to minimise migration of material and the peripheral planting consists predominately of fast growing robust species which resist trampling and can be coppiced to ground level when required.